Chocolate is a beloved treat for young and old alike. 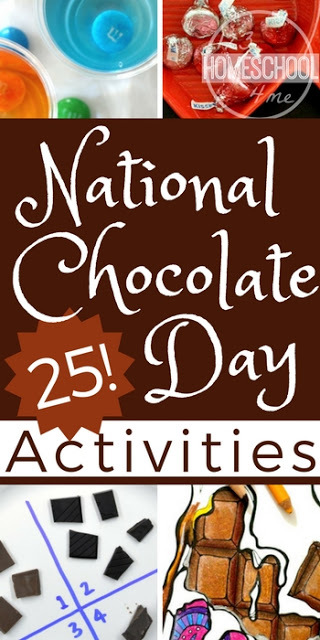 Why not celebrate it in your homeschool this year on National Chocolate Day? Try some of these 25 crafts and activities for National Chocolate Day, and oh yes, eat some chocolate too! When is National Chocolate Day? This year it falls on Saturday, October 28th. If you’re looking for some educational crafts and activities for the holiday, then this list is for you! These are fast and easy, and most of them take only a few supplies and materials that you probably already have around the house. Homeschool can be so much fun on holidays such as National Chocolate Day! Try some of these activities that have an educational aspect to them, so even if you take a “day off” for a fun holiday such as this one, you’ll still be learning! Chocolate Playdoh is the perfect sensory activity and keeps little hands busy. Did your kids get into the recent homemade slime craze? Well, bring the excitement back with this Homemade Chocolate Goop recipe. If those two options aren’t enough, make some Chocolate Cloud Dough as well! If you really get brave and don’t mind another mess, this Chocolate Soap Foam Sensory Play would be exciting. Throw in a little STEM experience such as a Chocolate Chip Cookie Excavation. Math can be fun on National Chocolate Day, too! Try learning about measurement with Hershey Kisses. Matching skills and number recognition with chocolate chip cookies will keep your preschoolers and younger students engaged. Make the “M” on an M&M candy float! Yes, it’s possible – just try this Science experiment. 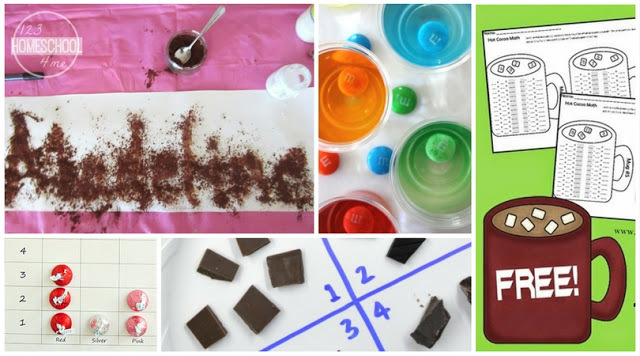 Have your children recreate this chocolate taste test activity. More chocolate-filled hours can be spent painting with chocolate. Let your younger children have fun learning by sorting Hershey Kisses by color. Print some of these fun activities, or try spending the day with an enjoyable unit study. The ideas below will help you plan your day. Math practice was never yummier! Give your kids these Hot Chocolate Addition and Subtraction Math worksheets. Read Charlie and the Chocolate Factory by Roald Dahl, and/or watch the movie. Then try some of the lesson plans listed here. If you’d like to continue with more Charlie and the Chocolate Factory themed activities, try these notebooking pages. When your kids have finished sorting Hershey Kisses, have your children graph them too! For older kids (or even you!) spend some time enjoying a chocolate-themed adult coloring page. Here are some cute Hot Chocolate Counting Mats with which your kids will love using real marshmallows. Cooking in the kitchen with the kids is especially fun on National Chocolate Day! Baking is a fun bonding activity, and a holiday that celebrates food makes the perfect opportunity. Try out some interesting new chocolate recipes below. Chocolate candy lovers will scream when they see this incredible cake full of chocolate inside and out! Fans of Rice Krispie Treats will rejoice when they see these Easy Triple Chocolate Rice Krispie Treats. Hot Chocolate, anyone? Here’s a delightful recipe for this drink that is a dessert too. 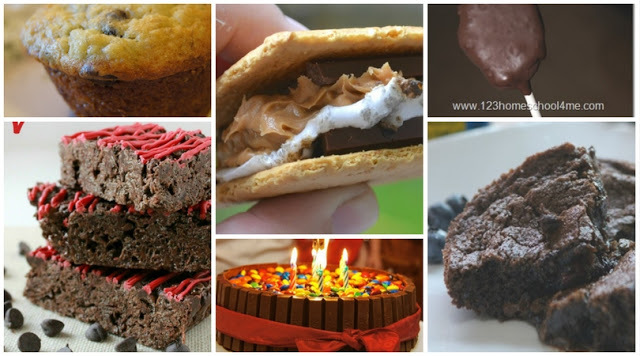 Classic s’mores are a chocolate lover’s dream, but these 5 variations would be fun to try! Fudge is the perfect bite of sweet, delicious chocolate. You can even add a swirl of peanut butter like in this Chocolate Peanut Butter Fudge recipe. 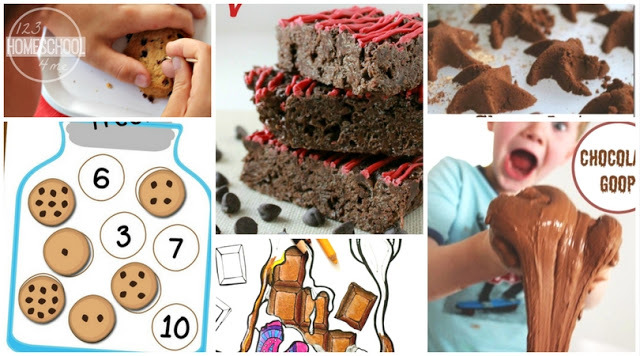 Make a batch of your favorite brownies during an afternoon break from homeschool. Don’t want to overdo it? Try a chocolate dipped fruit such as strawberries, apples, or even frozen kiwi! Or, simply liven up your everyday recipes with a few chocolate chips. For example, try Chocolate Chip Banana Muffins. 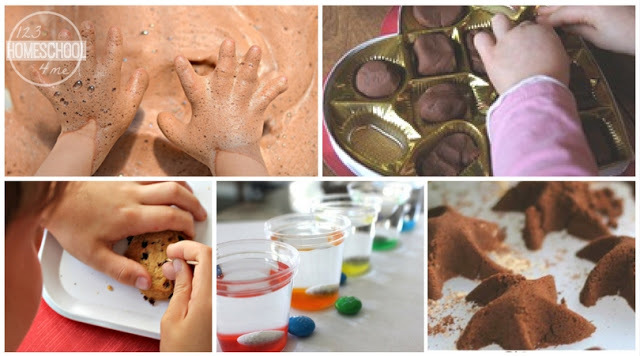 Want to make a memorable homeschool day with your children on National Chocolate Day this year? These 25 crafts and activities for National Chocolate Day will be a sweet way to do it!